Vancouver's Bentall Centre property has been sold from China's Anbang Insurance Group to an American joint venture including private equity giant Blackstone Group. Right now, there is a New-York based private equity giant and also a Los Angeles-based company who are both teaming up to buy downtown Vancouver's Bentall Centre, from China's Anbang Insurance Group. This is a deal that brings a lot of American money, yet it also marks the return to town of some very high level-executives who grew up in Vancouver. Anbang was forced to sell Bentall after the Chinese government seized control of the company to deal with its high debt, allegations of corruption and the jailing of its former chairman. When Anbang bought the four office towers and retail mall for around $1.06 billion in 2016, the deal was the most expensive in Vancouver history and drew attention by seeming to skirt federal rules for big investments by foreign companies, including the identifying of beneficial owners. 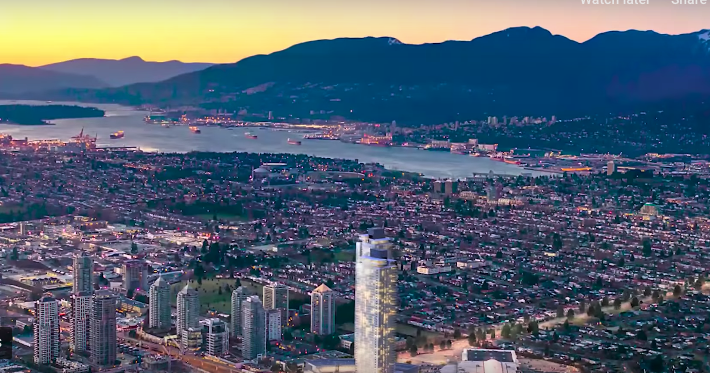 The transaction is currently expected to close in the next couple of months, none of the companies which are involved with the deal, are disclosing the new sale price, according to Jim Szabo, Vancouver-based vice-chairman of CBRE Limited, which is involved with the sale. Szabo also said there were other offers from domestic and international groups. The New-York based Blackstone Group will own 80 per cent of the property and L.A.’s Hudson Pacific will own the other 20 per cent and manage and develop it, the companies said Wednesday in a press release. Coleman always viewed Vancouver, he said in a statement, because of Vancouvers things like its growing tech and media industries, and its favourable immigration policies are a natural expansion market for his office and studio portfolios. Blackstone has previously done real estate business with Anbang. It was Blackstone that sold the Waldorf Astoria in New York to Anbang in 2014 for a record-setting amount of almost US$2 billion. It also sold Strategic Hotels and Resorts, which includes a chain of luxury hotels in the U.S., to Anbang in 2016 for US$5.5 billion.